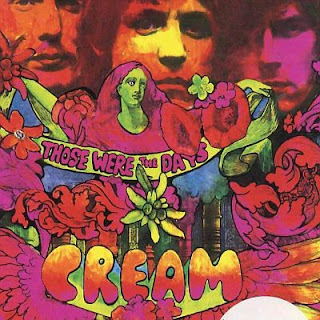 THOSE WERE THE DAYS is a four-disc set, the first half consisting of Cream's entire studio output and the last half featuring the band's concert performances. The package includes a 48-page booklet full of previously unpublished photos. Cream: Jack Bruce (vocals, acoustic guitar, cello, harmonica, piano, organ, bass); Eric Clapton (vocals, guitar); Ginger Baker (vocals, drums, percussion). Additional personnel: George Harrison (guitar); Felix Pappalardi (viola, organ, trumpet, tonette, Swiss hand bells, piano, mellotron, bass). Producers: Robert Stigwood, Felix Pappalardi, Ahmet Ertegun. Engineers include: John Timperly, Tom Dowd, Adrian Barber. Includes liner notes by John McDermott. In the two years they were together, Cream's blend of blues, psychedelic rock and quirky lyricism forever altered the definition of rock music. After releasing four seminal albums, Cream broke up as quickly as they had come together, with all three members going on to solo careers of varying artistic and commercial success. THOSE WERE THE DAYS brings together Cream's musical output in a deluxe four-CD set that's neatly halved between studio and live material. Meticulously compiled and remastered, DAYS includes every studio recording the band ever released, as well as previously unreleased demos, masters, rare and alternate takes. The live half of the box set is primarily culled from seminal performances at legendary venues like San Francisco's Winterland and Fillmore West. The sound has been considerably cleaned up allowing the listener to hear every nuance of these extended flights of jazz-flavored blues-rock improvisation. The package surrounding Cream's timeless musical output sports a DISRAELI GEARS-style day-glo cover and a 48-page color book. The accompanying notes, complemented by dozens of previously unpublished photos, provide an intimate glimpse into the brief, but groundbreaking career of the original power trio. 09. Sunshine Of Your Love (previously unreleased, from "the Glen Campbell Show"
Dear Marram, a big thanks goes out to you for this post, giving me, at least , the chance to re-evaluate a group that so many think they know all about, but don't !